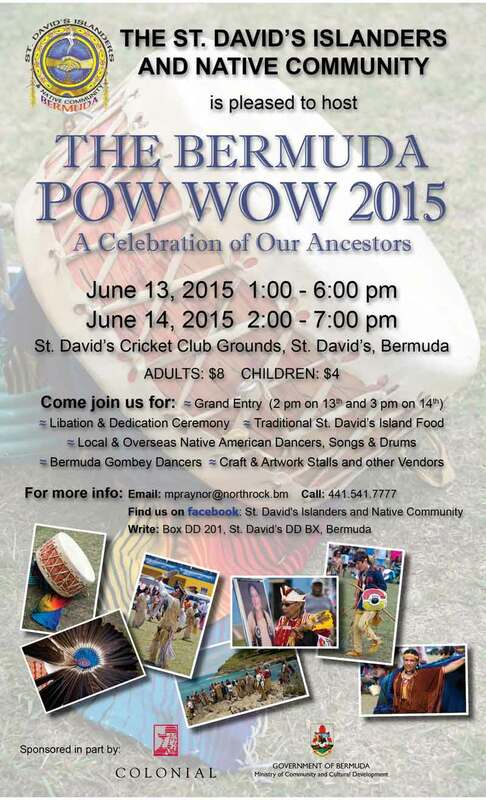 The St. David’s Islanders and Native Community will be hosting the Bermuda Pow Wow 2015 — a celebration of our ancestors — on June 13th and 14th at the St. David’s Cricket Club Grounds in St. David’s. Admission will be $8 for adults, and $4 for children. Its wonderful to be embracing the Native culture in Bermuda, however there should not be an admissions charge. The pow wow is ceremony, and you don’t charge people for ceremony. It’s a time of gathering and healing not for making money, Miigwetch.